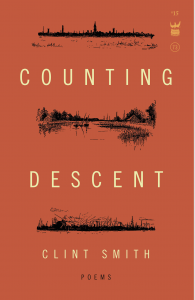 With the recent release of his first collection of poetry, Counting Descent, Clint Smith and I had a chance to discuss his new book and his role in literature as a writer and researcher. Not only is Smith one of my favorite writers, he’s also a good friend and collective-mate, and I was fortunate to be one of the first to read his collection when it was in manuscript-form. I was so moved by his collection, and honored when he asked me to blurb his book. What I said at the time is that Counting Descent is a tightly-woven collection whose pages act like an invitation to New Orleans, to the spades’ table, to mom’s kitchen, to the kiss on a woman’s wrist, to conversations with hydrants and cicadas. The invitation in these pages are intimate and generous and also a challenge; are you up to asking what is blackness? What is black joy? How is black life loved and lived? To whom do we—this human We— look to for answers? This invitation is not to a narrow street, or a shallow lake, but to a vast exploration of life. In a voice that echoes James Baldwin, but also declares its singularity, Smith extends: “Maybe there’s a place where everyone is both in love with and running from their own skin. Maybe that place is here.” And anywhere Smith is, often becomes a site of investigating what fear we are running from, and what love we’re running to. This interview proved no different. Elizabeth Acevedo: Hey, Clint. How are you? Clint Smith: I’m doing alright. Like it has for many people, the past weeks have been a whirlwind. I think we’re all processing this new reality differently and getting ready for the hard work ahead of us. ‪EA: Agreed. I think there’s so much at stake and on shaky ground. I’ve been turning to many different artists in an attempt to think about how to use this literary work in a meaningful way that responds to this moment in history. And to delve into the first question, with a president-elect that has promised to change the political landscape of America as we know it, what does poetry have to offer to what may prove to be tumultuous times? What is the role of the poet right now? CS: It’s interesting, I think, because for black artists, even before this election we were in the midst of a sociopolitical moment in which our work was speaking to and responding to the fact that our lives are precarious in this country — and really that our lives are precarious across the world. Now, we’re in a moment in which that sense of uncertainty and danger is being experienced by a much larger group of people, as we have a President-elect who threatens the well-being of wide-ranging demographic of people. I say this to say that, whether it’s police brutality, mass incarceration, or the threat of a registry for Muslims or the deportation of immigrants, we have a responsibility to challenge what we know to be unjust. We cannot let the political sensibilities of the moment compromise our ability to imagine and demand something beyond the scope of what others say is possible. EA: I love that. “The political sensibilities of the moment compromise our ability to imagine.” You a poet. Who are you reading right now that is inspiring your imagining? And why are you reading them? What I mean to say is, are you reading to find comfort? 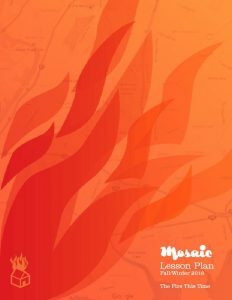 Are you reading to find hope? Are you reading to remain fully engaged in the urgency of your work? CS: That’s a great question, and something that I’ve been considering more thoughtfully since the election — what is it that I feel drawn to consume and why? I find myself in the strange yet incredibly fortunate position where, as a graduate student and writer, my job is larger to read, write, and think about the things that matter a great deal to me. I don’t take that for granted for a second. The challenge becomes the fact that the line between what is “work” and what is “rest” is pretty blurred. You know, I don’t stop thinking about mass incarceration, or school segregation, or housing discrimination when I leave work. Those things are not just intellectual pursuits, understanding and studying those things reflects my broader political and personal commitments. They are with me all of the time. Even if it weren’t my job to study them, I would be reading about many of these things whenever I had the opportunity. So this means that when I leave the library, I don’t just “turn it off,” I’m still thinking about it. I’m still wrestling with it. That’s my life as a social scientist and researcher. But my life is also unique in that I’m not only a researcher, I’m also an artist. So what does that mean? When I’m reading fiction, is that as a reader or a writer? When I’m reading poems, is that work or play? I don’t know that I have an answer to that, because the truth is that it’s both. This is a long way of saying that, in selecting what to read, I don’t know that I can silo my rationale in terms of comfort, or hope, or urgency, because it’s usually a bit of all those. Part of what brings me comfort is reading things that help me understand how the world has come to be. ‪EA: I loved The Light in the World. CS: Alexander’s book is astonishing. I’m moving through it slowly so that I can savor every word. EA: And Alexander is someone who also participates in many kinds of writing, and genres. I was actually hoping to ask you about compartmentalization before we got on this thread. I’m curious about genre. In addition to your book of poems, Counting Descent, you’re also a contributor for The New Yorker, The Guardian, and you’re also a public speaker and performer. How do you find your work in different genres are in dialogue? How are they divergent? How do you know what an idea needs to become? EA: It’s like getting your words dressed. Different events require different attire but the heart of the writing is the same. That metaphor wasn’t as successful as I hope, but I do understand what you mean. ‪Also, I have a timer set and was waiting to see how long it took you to mention Du Bois. EA: He was so human, yeah? ‪EA: Sometimes I think we’re afraid of our work being retweeted out of context or what we lose if we backtrack on an idea. But, I think the writer shouldn’t be too sure. And that means sometimes you need to admit when you were off. ‪CS: Right, you and I have talked about this a bit, but I sometimes worry about young writers coming up in the age of social media. I worry that their ideas aren’t given time to grow and evolve without them being subjected to torment online for saying the wrong thing or saying something but the wrong way. I can’t imagine what would have happened to me if some of the ideas I had as a young person, or even as a college student or young adult, got out into the world now. I probably would have stopped writing. EA: Right! It’s a very reactionary time in regards to posting art on social media. I’m curious about something circling back to W.E.B Du Bois. Well, less about Du Bois and more about your canon. I think Du Bois means to you what Lucille Clifton means to me–what I think I am trying to articulate by that is that I fancy myself as a direct literary descendent of hers. Or I hope to be. She was the first person I read who felt like kin. So much of your poetry collection has to do with family, and in regards to your personification poems of the protest novel, is literally conversant with key figures like Du Bois, James Baldwin and Richard Wright. Who are some other writers you consider yourself descended from? 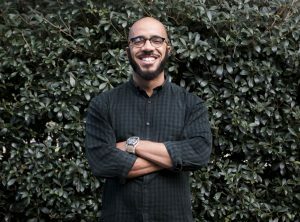 This entry was posted in Interviews and tagged Clint Smith, Counting Descent, Du Bois, Elizabeth Acevedo, James Baldwin, Lineage, New Orleans, poetry, the Zombiepocalypse. Bookmark the permalink.